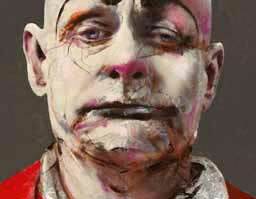 Passion for representing the human form is what unites these contemporary international artists. You will find every technique and medium imaginable, every style and approach, serene to amusing, classical to abstract and everything in between. Mobile friendly, searchable and interactive. If you would like to volunteer to translate this page into German for us, we’d LOVE to hear from you! To support, showcase and promote the best in figurative arts, the art of the human body. 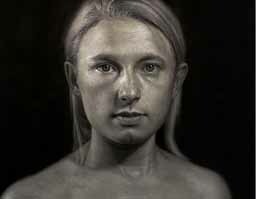 To be a resource for figurative artists, art galleries, students and collectors. 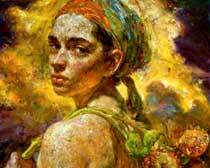 We feature great figurative artists with great websites with good figurative art and a strong personal voice. Your email address will never be shared or sold. Your name & image will be credited & linked to your site whenever possible. Your images will ONLY be used to promote this site. 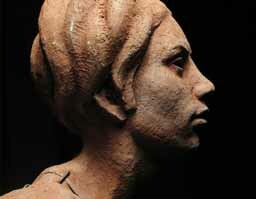 Who can join this figurative artist directory? If you are a) figurative artist with a good body of figurative work in any medium AND b) have a fabulous website, blog or web presence, you are welcome to submit to this collective directory of figurative artists, fine craftsmen and artisans. The basic criteria – the weblink from this site must deliver on the promise of good quantity and quality of figurative art with a strong personal vision. Still breathing is a plus, but not absolutely compulsory. Why should I bother joining? Because of our very strong foundation of SEO, search engine optimization, we get LOTS of traffic, send LOTS of traffic to artists’ sites, and even bring collectors and artists together. Often our site will come up before an artist’s own site on search results. Your image and your name will hyperlink directly to your own website. This site is built for good search value for figurative art so there are possibilities for increased exposure to your work. More viewers, more connections, more possibilities, more teaching opportunities, more sales…. In addition to the excellent caliber of the artists featured, the biggest bonus is the image of your work that appears with your name. Too many links pages and directories have names only (boring), making it hard to find exciting new artists in a visual field like art. Our images and filterable portfolio increase the opportunity for visitors to click through to your page. Sounds exciting! What do I do next? We’ll review it and get back to you. This is a juried and curated site. 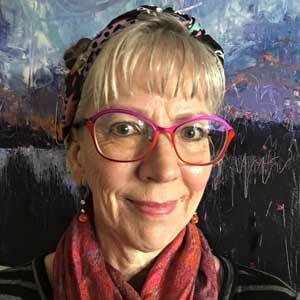 Paula O’Brien – I’m a visual artist working on my journey as a figurative painter. I live in small town in British Columbia and am fortunate to have been able to do a lot of traveling. The site sprang from my desire to explore and share the many exciting figurative artists that I have discovered along the way. Realizing that many others would never have the same opportunity to wander the Prado, spend time at the London or Madrid Contemporary Art Fairs, I set out to gather these exciting artists under one roof like a giant Art Fair but without the hassle of losing your baggage at the airport! Using my web site and database skills learned through my job at Kidzsmart, the site began as a free invitational site in Spring 2010, a gift to the art world and a form of public service. In snips of time, the site grew, a bit like making a giant art quilt, stitching all of us together and building community. For the first 3 years, the site was offered as a FREE random act of kindness and is a testament to the power of making positive connections. Now the site has become quite a full time job and grown into a large and valuable resource for artists, students and collectors. Web sites have become so much more interactive and need to be viewable on mobile devices. A donation/support system is in place to make the site sustainable as we move forward. If you enjoy this site, please bookmark it, pass it on to others, put a link on your site or blog. Thanks! Sit back and wander through our studios. Come and visit or join us soon. Almost all artists included here are still breathing but you’ll find treasures from the past in the Art History section. This is a juried and curated site so you know you’re going to visit something fabulous when you click on a link. The site does keep me out of my own painting studio more than I’d wish but I see the site as my largest art creation and knowing it’s getting seen and enjoyed by thousands of people around the world is quite satisfying. I’ve made some very interesting connections and been able to visit some very interesting artists on some of my own travels thanks to our connection. Visit my site if you’d like to know more about me. Yes, amazingly enough, I am a real person.